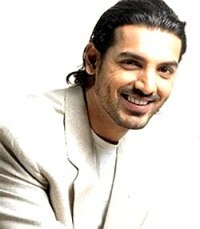 John Abraham, Bollywood hunk, will play the lead opposite Hollywood’s Rachel Weisz in a movie about an American environmentalist's fight to save a famous California redwood tree. "The true-life inspiration for the film, Julia Hill, just loved John," The Times of India newspaper quoted director Deepa Mehta as saying about their meeting last week at the Cannes Film Festival in France. Securing American environmentalist Julia Butterfly Hill's approval for a relatively unknown Indian actor was critical to the movie, she was quoted as saying. "She thought he looked like Antonio Banderas." Abraham will play an environmentalist in "Luna" - the name Hill gave the ancient tree she saved from loggers during a more than two-year campaign in northern California. A decade ago, Hill lived in the redwood to draw attention to logging practices and to prevent old-growth forests from being cut down. Her campaign and environmental protests helped make fewer areas available for logging. Abraham, a former model, has often been voted one of Bollywood's sexiest stars in movie polls and has starred in several blockbusters since he struck fame in the 2004 hit "Dhoom," or "Bang." He won praise for his role as a law student who falls in love with a widow in Mehta's most recent Oscar-nominated film, "Water." The film dealt with the harsh treatment meted out to widows in India in 1930s. Mehta said Abraham was excited about the project. "He has a full-fledged role opposite Rachel," she said. "John, who plays an environmentalist in `Luna,' is not an Indian, nor an American in the film. His culture, origins aren't specified." Weisz won an Oscar last year for her portrayal of a political activist in "The Constant Gardener." She plays the unhappy wife of an alcoholic policeman in her latest movie, "My Blueberry Nights," which opened at the Cannes Film Festival last week.